Do Last Week's European Copyright Votes Show Publishers Have Captured European Politics? Three European Parliament Committees met during the week of July 10, to give their input on the European Commission's proposal for a new Directive on copyright in the Digital Single Market. We previewed those meetings last week, expressing our hope that they would not adopt the Commission's harmful proposals. The meetings did not go well. All of the compromise amendments to the Directive proposed by the Committee on Culture and Education (CULT) that we previously catalogued were accepted in a vote of that committee, including the upload filtering mechanism, the link tax, the unwaivable right for artists, and the new tax on search engines that index images. Throwing gasoline on the dumpster fire of the upload filtering proposal, CULT would like to see cloud storage services added to the online platforms that are required to filter user uploads. As for the link tax, they have offered up a non-commercial personal use exemption as a sop to the measure's critics, though it is hard to imagine how this would soften the measure in practice, since almost all news aggregation services are commercially supported. The meeting of the Industry, Research and Energy (ITRE) Committee held in the same week didn't go much better than that of the CULT Committee. The good news, if we can call it that, is that they softened the upload filtering proposal a little. 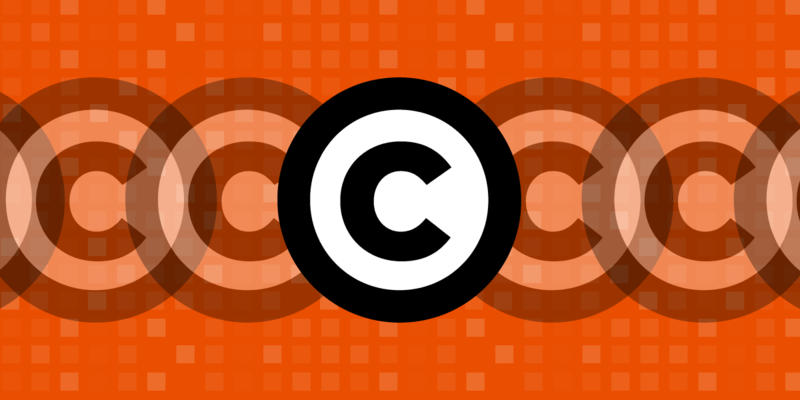 The ITRE language no longer explicitly refers to content recognition technologies as a measure to be agreed between copyright holders and platforms that host "significant amounts" (the Commission proposal had said "large amounts") of copyright protected works uploaded by users. On the other hand, such measures aren't ruled out, either; so the change is a minor one at best. Periodical publications which are published for scientific or academic purposes, such as scientific journals, should n̶o̶t̶ also be covered by the protection granted to press publications under this Directive. This deceptively small change would open up a whole new class of works for which publishers could demand payment for the use of small snippets, apparently including works that the author had released under an open access license (since it's the publisher, not the author, that is the beneficiary of the new link tax). I have never seen a Directive proposal from the Commission that has been met with such unanimous criticism from academia. Europe's leading IP law faculties have stated in an open letter, and I quote, "There is independent scientific consensus that Articles 11 and 13 cannot be allowed to stand," and that the proposal for a neighboring right is "unnecessary, undesirable, and unlikely to achieve anything other than adding to complexity and cost". The developments in the CULT, ITRE and JURI committees last week were disappointing, but they do not determine the outcome of this battle. More decisive will be the votes of the Civil Liberties, Justice and Home Affairs (LIBE) Committee in September, followed by negotiations around the principal report in the JURI Committee and its final vote on October 10. Either way, by year's end we will know whether European politicians have been utterly captured by their powerful publishing lobby, or whether the European Parliament still effectively represents the voices of ordinary European citizens.